Wishing you all a very very Indian Happy Independence Day.. This year India has marked 70 years of freedom and thanks to our Freedom Fighters. I wish I could thank our forefathers who have gien us a land of peace and happiness where we can sleep whole night without any fear. 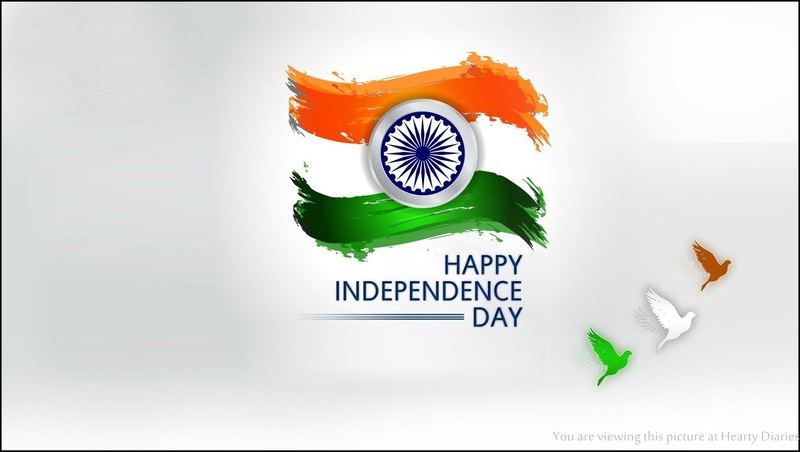 I wish this Independence I become more responsible towards India and do whatever I am capable of.. Lets pledge to work together to bring the change… I like millions of people cannot wait to see an India which is free of all evils, free from diseases, clean, healthy, sanitized, free from terrorism, violence, corruption and caste difference.. Ask to yourself if you have even done 70 good deeds for your nation? Well, I am not here for giving any speech or lecture, I am just sharing what I feel for my nation and as a tribute, I feel really happy to tell you guys that I have written a poem for India. This is my first ever poem and I know it isn’t very good but you guys are my family and I am confident in sharing my first attempt with you all.. I belong to the Indian breed. India in it has them all. Can never be found in other countries. Cannot be better than any conjecture. Can compete with all contemporaries. Is a gift to us by fighters of freedom. The world cannot have it ample. You will forget the perfumes of Armani. In your life you’ll have a new passion. You’ll feel like a King or Queen. We’ll do everything for our nation’s growth. So that’s it for today guys.. That was my little effort and tribute to India.. I hope you all liked this post. Do let me know how was the poem.. All your comments mean so much to me…! Don’t forget to share this post and follow my blog.. Happy Independence Day once again guys! Loved your poetry. Very beautifully written. Thank you so much Sangeeta ? Hehehe thank you love.. Writing one more?